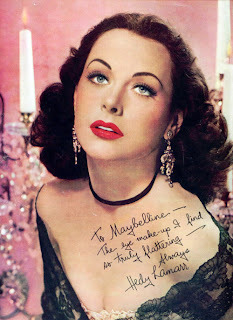 THE MAYBELLINE STORY : Hedy Lamarr's new book, Hedy's Folly!!! 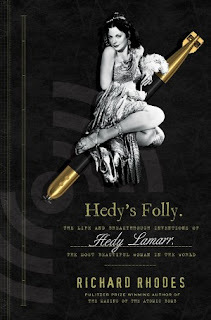 Hedy Lamarr's new book, Hedy's Folly!!! Hedy’s Folly: The Life and Breakthrough Inventions of Hedy Lamarr, the Most Beautiful Woman in the World by Richard Rhodes. One of the most beautiful actresses in Hollywood was also being a talented inventor. 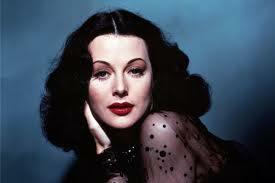 Richard Rhodes describes Hedy Lamarr’s partnering with George Antheil to invent a fundamental new wireless technology. As one of Maybelline's most stunning models in the early 1940's, and the most popular post on my blog, I am thrilled Richard Rhodes has released Hedy Lamarr's story, one year after The Maybelline Story was puplished. You can never get enough inside information on Old Hollywood as far as I'm concerned. Both Hedy's folly and The Maybelline Story are available at Amazon. Also if you love Old Hollywood be sure to check out, Damn You, Scarlett O'Hara: The Private Lives of Vivien Leigh and Laurence Olivier. 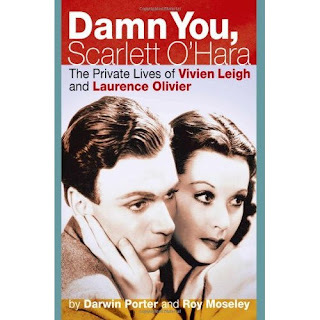 NEW YORK - The 2011 Beach Book Festival has named “Damn You, Scarlett O’Hara: The Private Lives of Vivien Leigh and Laurence Olivier” as the grand prize winner of its annual competition honoring the summer’s hottest reads.